Electrical panels that use old fashioned glass fuses can be susceptible to over-fusing (by installing a fuse with too high of an amperage rating.) This causes more electric current to flow through a circuit than it can safely handle which is a very serious fire hazard. 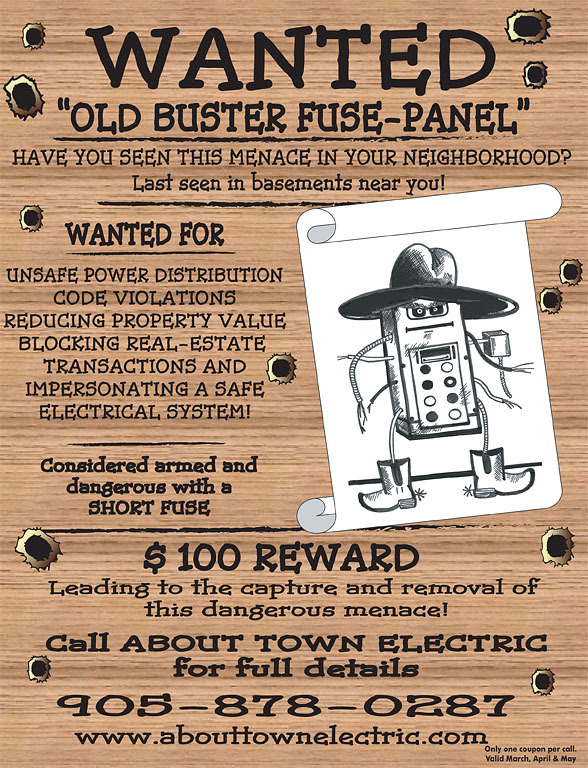 Fuse panels can also be abused by adding more than two sub-panels, which is also considered unsafe. Is your panel running out of space? As a general rule you should have about 25% of free space in your panel. If you’ve got an older breaker panel that’s out of room you should have it replaced to avoid circuits that are doubled-up on a breaker. Double-tapped breakers do not adequately protect your wiring which could lead to a serious fire hazard. Have a qualified licensed electrician correct it immediately.